Description: Two story home located in a quiet, low traffic, and established neighborhood. Three bedroom and two and a half bath home with large private deck and spacious two car garage. Large sunroom attached to living space makes perfect location for entertaining or relaxing. 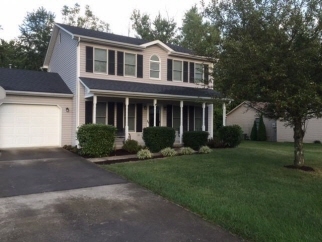 Great location; only short drive to frankfort, lexington or louisville. Data believed correct but not guaranteed. Buyer to verify data prior to offer. Agents read agent remarks.